When you review an album, you need to listen to it a number of times. 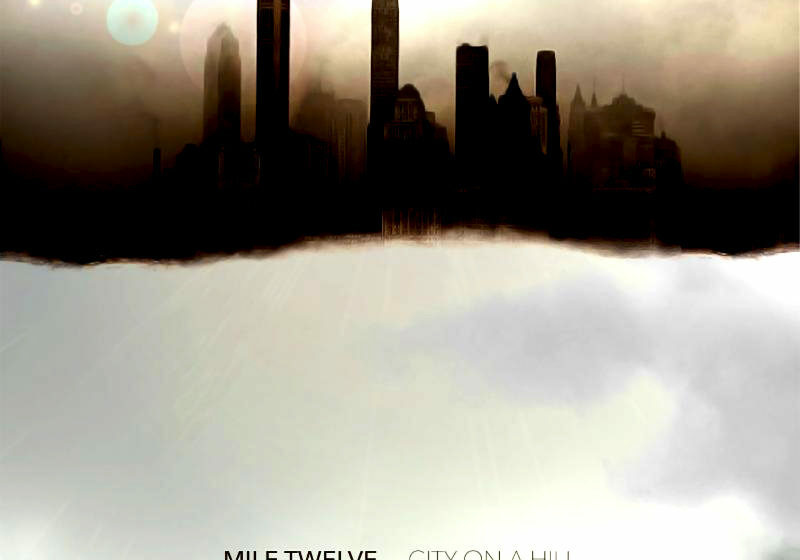 So it is not necessarily unusual that we’ve listened to Mile Twelve’s upcoming release, “City on a Hill,” enough in the past few weeks that we can sing along to all the songs. But we’ve listened to this one far more than we do for most reviews. Yes, because it is that good, though that was not exactly our motivation. The truth is, it is almost scary how much we like this album. The first time we listened to it, we were in awe. Our first impression was that this was the best album we’ve heard since we started writing reviews a few years ago. That’s a strong sentiment, and not necessarily one a critic is comfortable writing. Once you call something the best, it doesn’t leave you much room for superlatives going forward. What if the next album we hear is even better? Heck, it is only March. Spring has barely sprung. It’s too early to even be making “Best of 2019” lists, and here we were about to shower “City on a Hill” with that sort of accolade. So we kept listening. We thought maybe if we played to it enough, maybe the luster would wear off enough that we could write a review that didn’t gush quite so much. We’d start to get tired of it, we figured, and would be able to write a good review, but one that perhaps didn’t stick our neck out quite that far. Except that never happened. The more we listened to it, the more convinced we became that it really is that good. “City on a Hill” is a fine, balanced collection of songs that takes the 2017 IBMA Momentum Band of the Year winners to another level. It’s a contemporary album, with traditional bluegrass feel, full of songs that about present-day issues and age-old romantic woes. There is an intimacy in the songwriting that gives you a feeling that you are getting to know the band. Okay, it is a little difficult to imagine Evan Murphy actually spending a night in the drunk tank, but hey, maybe? Haven’t stranger things happened to the best of us? This album really does feel like a window on the band’s soul. 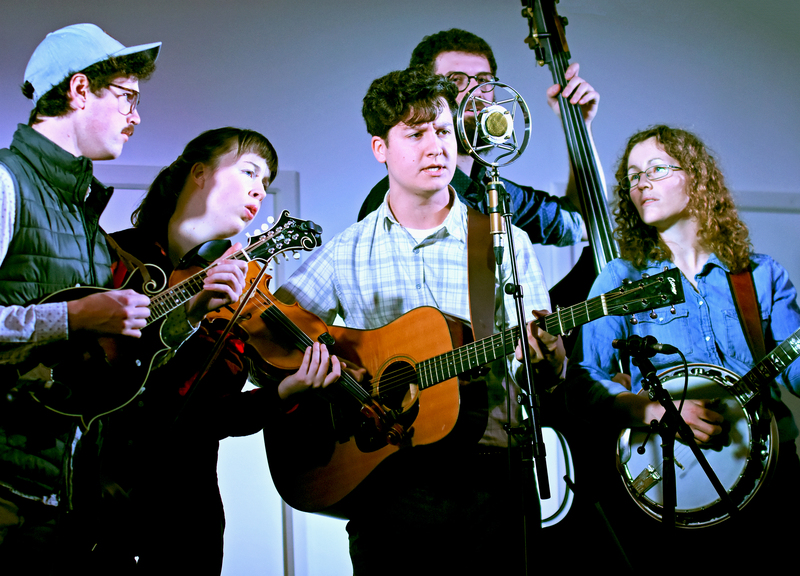 Mile Twelve is not an Appalachian band. They’re from well north of the Mason Dixon Line. The album’s name, “City on a Hill,” is a nod to a phrase oft used to describe their Boston base. They never lived in a cabin in a holler. They don’t fake it. They are urbanites from a sophisticated, highbrow city. Their lyrics reflect some sentiments stereotypically thought of as “Northeastern.” Their songs express views on current day issues, but they are never sanctimonious or overtly political. There is no effort to live up to any hillbilly stereotypes common to bluegrass. It is very smart bluegrass. The songs are are well-written stories that feel real, and sometimes are. That gives their music a genuineness that a lot of modern music lacks. The best song in this collection of very fine songs, “Jericho,” is a poignant tale of a combat vet’s struggle to returned home. A somber ballad, we got a little misty the first time we heard it at the 2018 Grey Fox Bluegrass Festival. Still happens every time we hear it. Do not have a conversation during this song. Listen to it in a quiet place without distraction. This is a sparse, but intense arrangement dominated by Evan Murphy’s guitar and some haunting fiddle by Bronwyn Keith-Hynes. It coveys a very real, raw pain in a way that is both patriotic and a protest song. This is a bluegrass song with crossover potential. It is scary to think how this might explode if contemporary country radio stations find it. “City that Drowned” and “Liberty” are also socially conscious songs that symbolically take a stand without being overbearing or preachy. In “City that Drowned,” a man in the future shares the story his father told him about a city lost to rising oceans. “Liberty,” which bass player Nate Sabat based loosely on the tale of his Jewish ancestors fleeing Eastern Europe, delivers a timely commentary on the plight of refugees. The rest of the album is a mix of symbolic stories with modern morals and clever tales of love lost, or in serious jeopardy. The band’s web site calls “Barefoot in Jail” a waltz. It’s more of a two-step, a little quicker beat. It tells the story of a guy who made a drunken fool of himself the night before, got tossed in the drunk tank, and now is leaving a voicemail message to his, hopefully still, definitely pissed, girlfriend asking her to get his car out of the tow yard and to come bail him out. In a fine bit of sequencing, the next cut tells the story of what that guy tells that girl the next time he runs into her, perhaps 60-to-90 days later. “Good Times Every Night,” he tells her, trying to convince himself. It’s a fine country heartbreak song. “Innocent Again” is a little more serious lament of a run in with the law. This one is played in high gear, with Catherine “BB” Bowness’ banjo setting the pace. It’s a reminder that once you’ve done your time, you might be free, but you’ll never be the same. Bryan Sutton produced the album, with Ben Surratt engineering. They did an excellent job. The sound is perfectly balanced, each instrument clear. The members of Mile Twelve all have formal music education and play with precise arrangements and a virtuosity that adds to the New England polish of their sound and Sutton and Surratt have captured that wonderfully. The choice of “Down Where the Drunkards Roll” to open the album is perfect. The latest RIchard Thompson song to translate well to a bluegrass treatment. It’s an amazing transformation. When Richard, and his then wife Linda, recorded it on their 1974 I Want To See The Bright Lights Tonight LP, it was almost like a dirge, slow, with a mournful guitar under Linda’s plaintive vocals. It’s a sad, sad song. Kick it up a few notches, toss in some rollicking Bowness banjo, and Murphy sings it almost celebratory. It almost becomes a happy tune. The band toured the United Kingdom in March, selling out shows all over England. Folks over there were able to pick up the CD at those shows. Over here in the U.S. we’ll have to wait for the March 29 release. The band will celebrate that release, and the start of a lengthy U.S. tour with a show that evening in Camden, Me. You can preorder the CD on the band’s web site at https://www.miletwelvebluegrass.com.